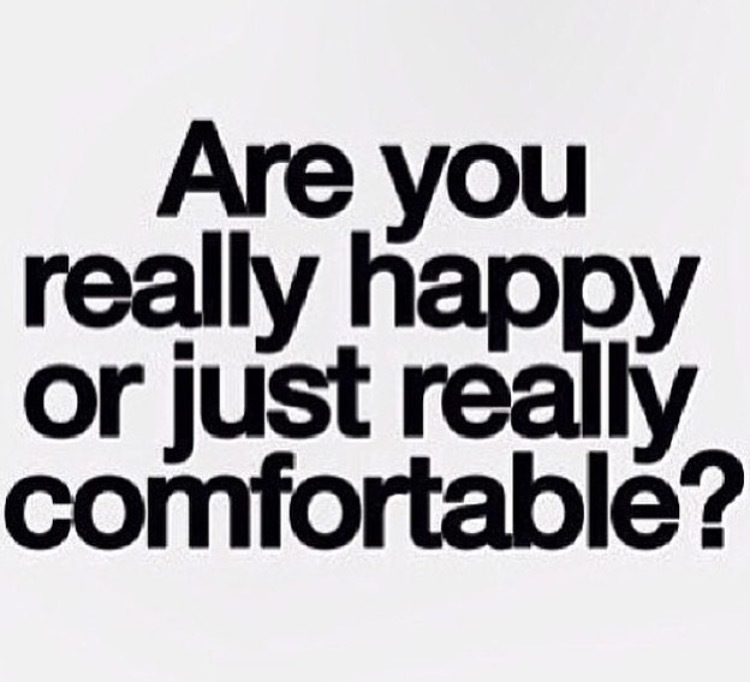 Are You Really Happy Or Just Really Confortable ? I’ve counted three times in my life where I almost got comfortable. Where I went back to a 9-5, benefits and 401k plans, and my nights and weekends free to do what I chose. That’s what was expected of me how I grew up. Balance. That’s easier when life is consistent, when you can clock out at 5 and don’t have to worry about clocking back in until the next day. Instead I chose this life. I chose Uncomfortable. I chose inconvenience. Can greatness be achieved when you are comfortable? Or do you settle for just enough. Mediocrity? What is it? Would you be happy if you settled with doing just enough? That’s the questions I keep asking myself as I make life-changing decisions. Entrepreneurship can be like treading through hell trying to get to heaven. I’m just being honest. It’s not for everybody. You miss a lot. You sacrifice a lot. But knowing that You can contribute to the world, and be of inspiration to someone, no matter what route you choose to take (9-5 or Entreprenuer), is the greatest gift ever. It kind of makes the grueling journey so much worth it. #randomthoug via xonecole.